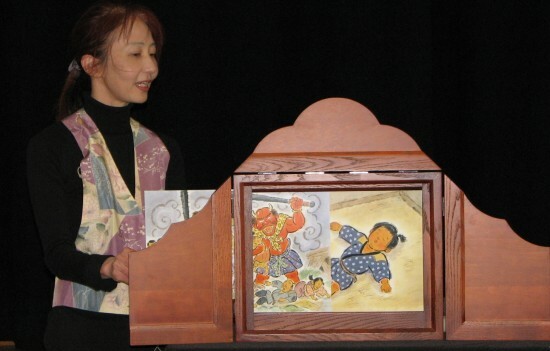 The Torrance Sister City Association presented the annual Bunka-Sai (Japanese Cultural Festival) on April 26-27 at the Ken Miller Recreation Center in Torrance. 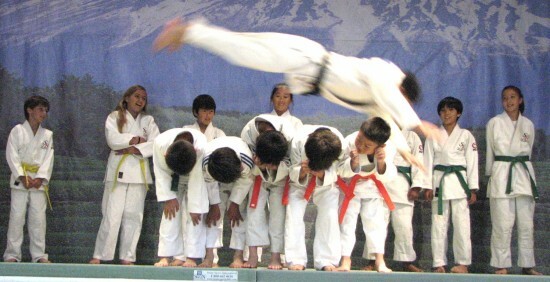 Above: Members of South Bay Judo demonstrated how to hit the ground safely. 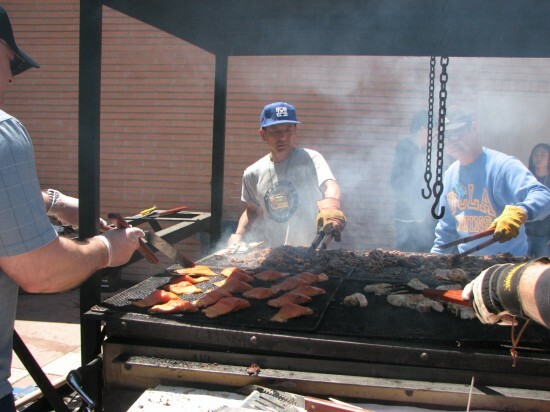 Food booths were kept busy keeping up with demand. 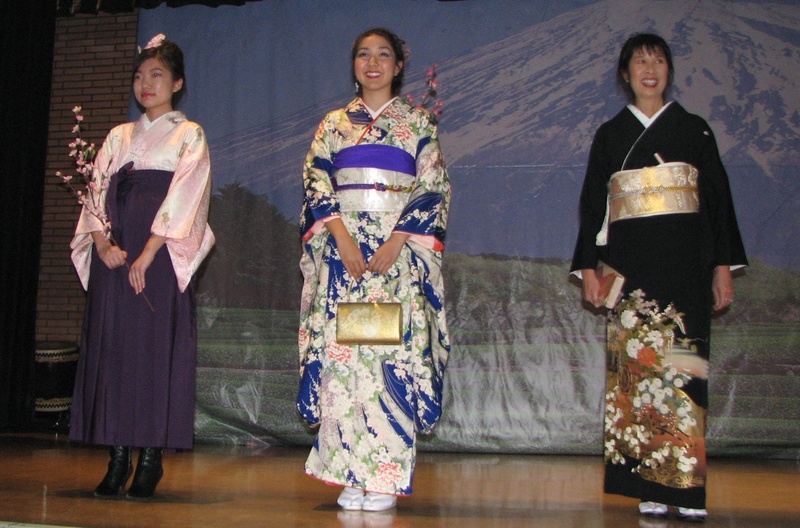 Jay Matsumoto, a member of the 2013 exchange group, talks about his experience in Torrance’s sister city, Kashiwa. 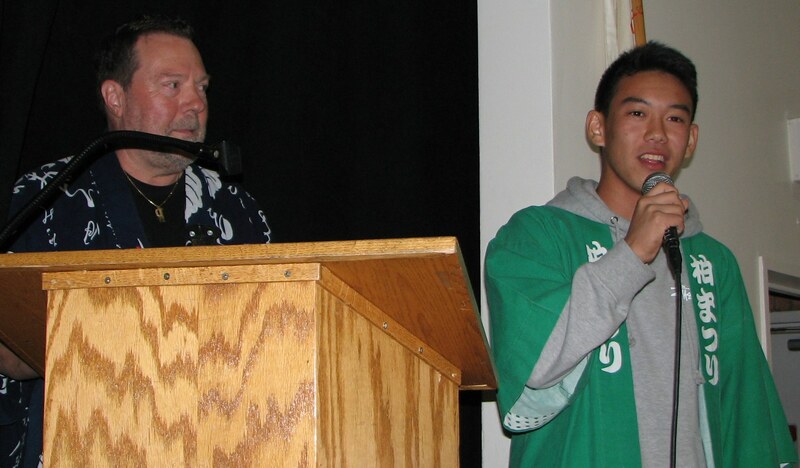 At left is Saturday emcee Dr. Dan Fichtner, educator and TSCA member. 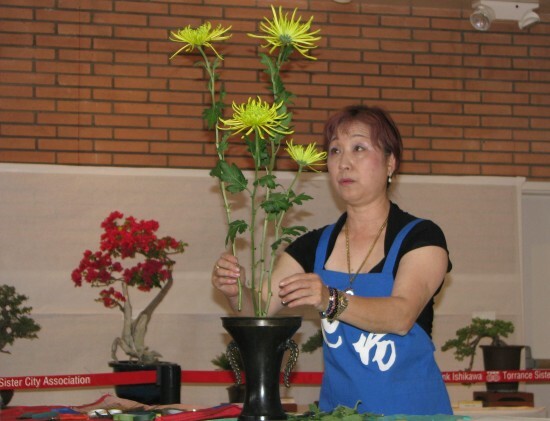 There were ikebana demonstrations by Ikenobo Kai and bonsai displays by Koyu Kai in the Assembly Room. 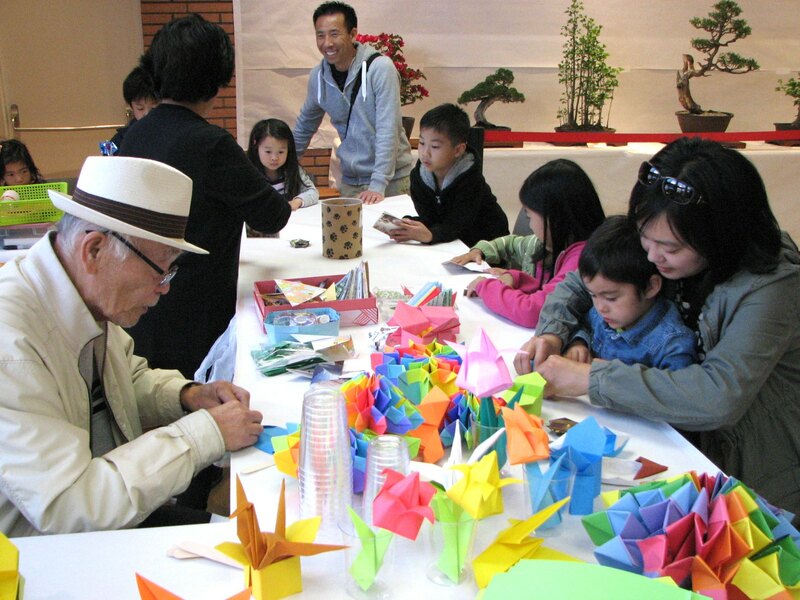 Kids and parents at the South Bay Origami table. Toshiko Ohkawa presented a show explaining different kimono that are worn according to the woman’s age and the type of occasion. Other demonstrations/performances included drumming by Kishin Taiko and Taiko Center; tea ceremony by Sakiko Monuki of the Urasenke School; calligraphy by Hiroko Ikuta; Okinawan dance and taiko by Okinawa Association of America Geinobu, Aikoh Kai, Kansei Kai and Ryukyukoku Matsuri Daiko; koto by Awaya Kai; Japanese dance by Mai no Kai and Bando Hidesomi Nihon Buyo Kai; shakuhachi by Shoshi Kanokohata; shamisen by Matsutoyo Kai; and naginata, kendo and aikido by local dojos.